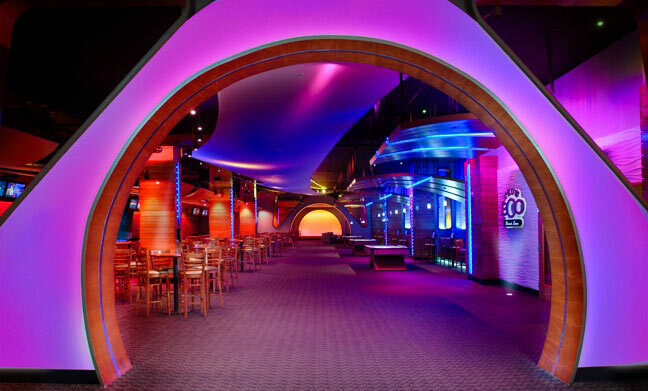 Anaheim is truly a one of a kind installation. 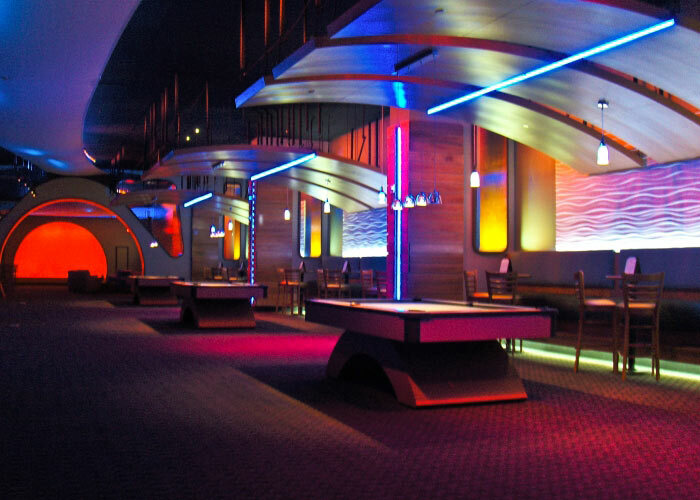 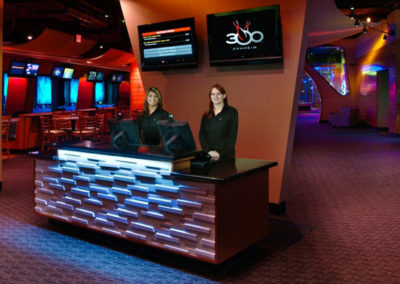 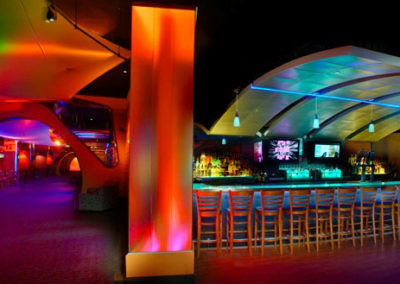 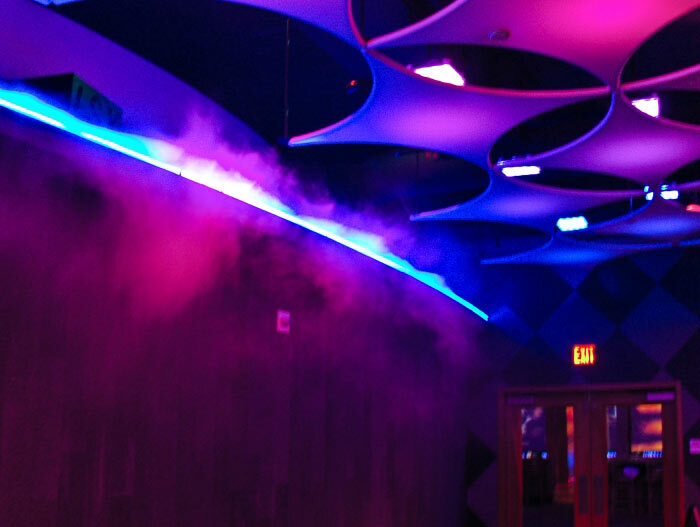 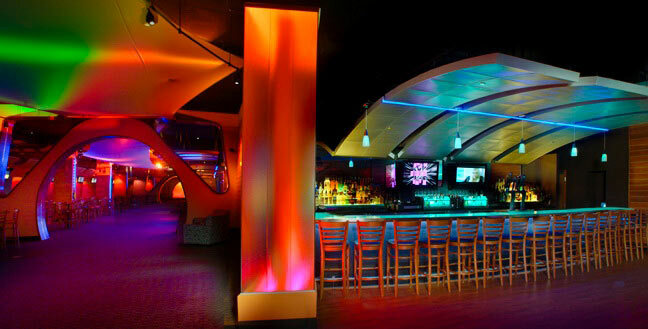 DFX installed many different types of architectural and LED lighting throughout the entire building, including the lanes, the bar area, the concourse, and the lounge areas. 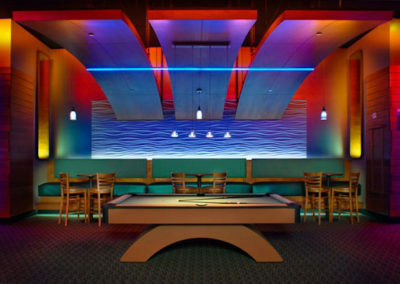 Our architectural lighting worked around the architectural designs created by Duvall. 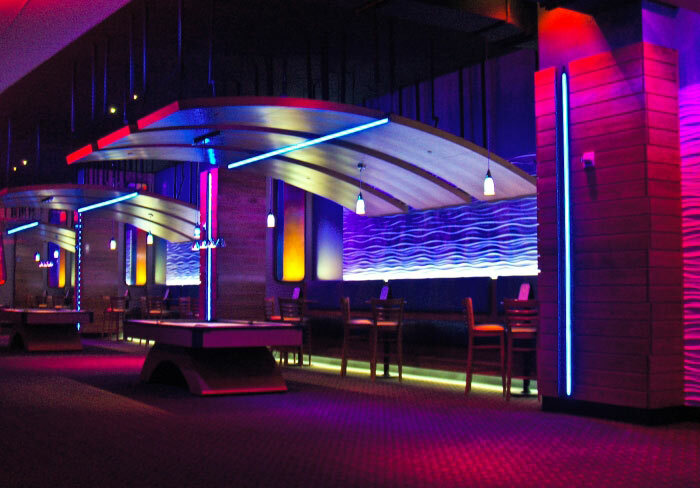 All of the lighting was designed by DFX. 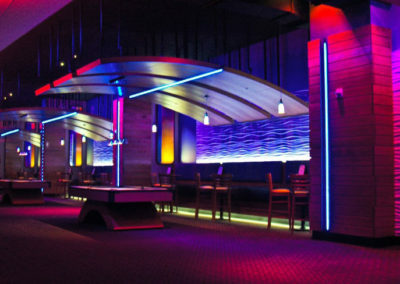 Some of the LED and architectural lighting is controlled through Traxon ECUE servers. 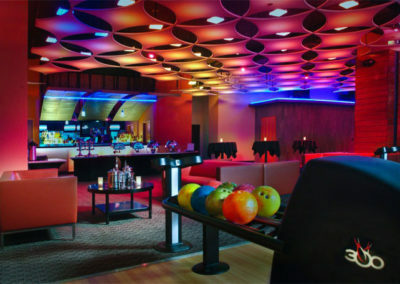 The entire system is fully automated through Crestron touch panel control. 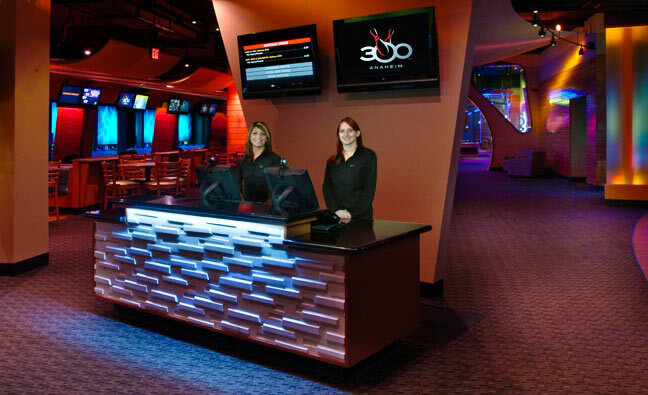 We also installed a media server, which displays all types of graphics. 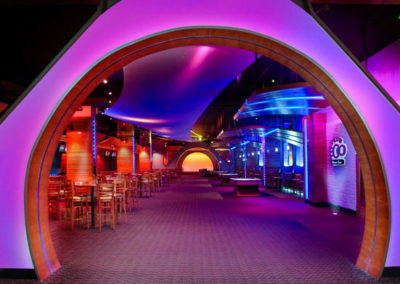 Center managers can upload a logo or other images and change them with various effects. 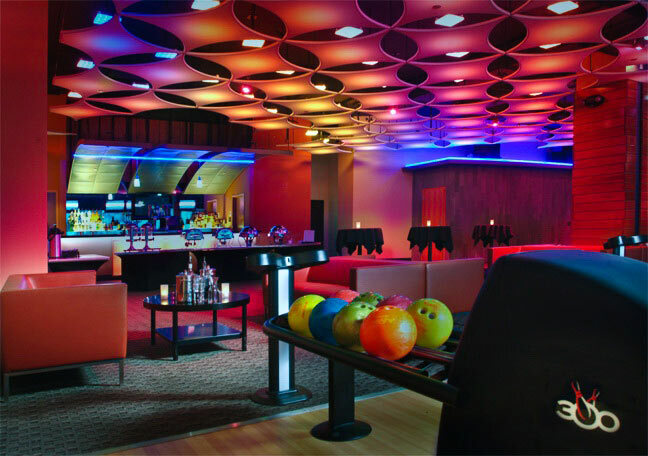 The media server includes stock footage as well as custom footage that center managers can manipulate on their own. 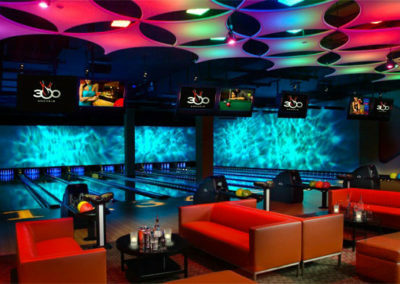 The main bowling lanes are spanned by a total of 8 video MASQ projection screens that span 4 lanes each, across a total of 32 lanes. 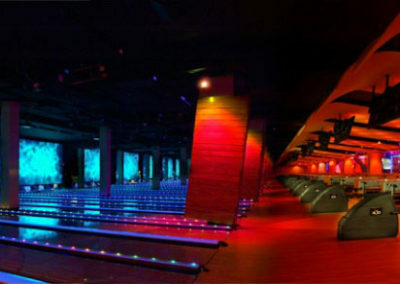 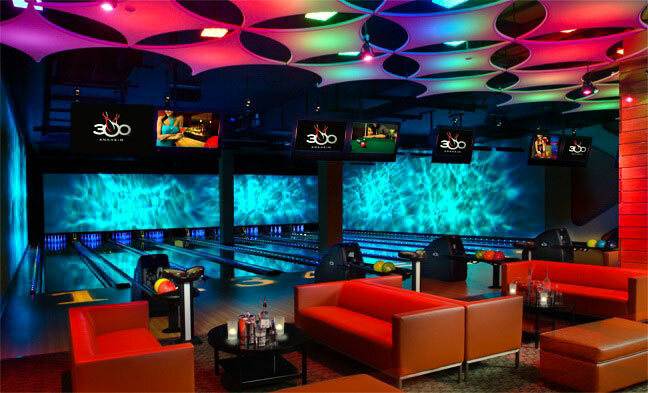 The VIP bowling area includes one large screen that covers all additional 8 lanes. The VIP lanes also have 2 large UltraTec low-flow fog machines. 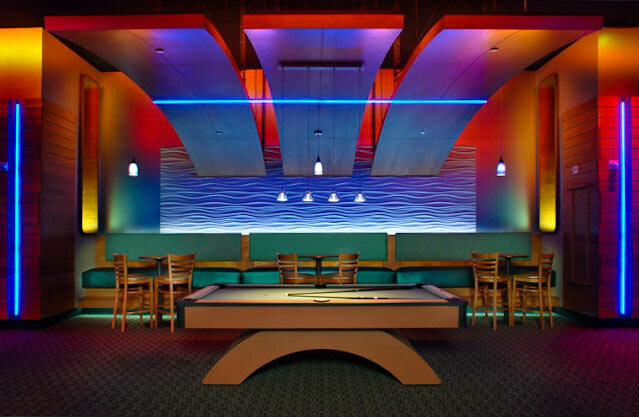 The sports bar area includes a number of projectors and flat panel screens, and the bar itself is composed of a thin sheet of LED lighting, which allows the top of the bar to change colors.